Our lives are a product of our thoughts, words and actions. If we change our thinking and the actions that follow, we can literally reshape our lives to produce the joy and success that we ultimately desire. Naturally, this is easier said than done. It may have taken us many years to develop our current thought patterns, beliefs and behaviors, so it is unlikely that it will be transformed on a whim. Success, however it is defined, requires a clarity and discipline to bring it to fruition. Like exercise, you must work consistently in creating effective thought and behavior patterns that will produce more favorable outcomes. In order to begin, you must choose the form of excellence that you would like to create. If you are not clear about what it is that you are trying to produce, how can you possibly be successful in achieving your goal? This sounds fairly simple, yet you may find yourself plagued by a desire for perfection (tormented at the thought of making the "right decision). Rather than making an ineffective decision, you may not make one at all. If you desire greater success, the best path is a plan of action. Surrender your concerns about whether the path is the correct path. Trust your instincts and go, knowing that you will get the information that you need along the way. If it is not the best path, how would you know if you had not taken the risk of the journey? Success or sabotage? 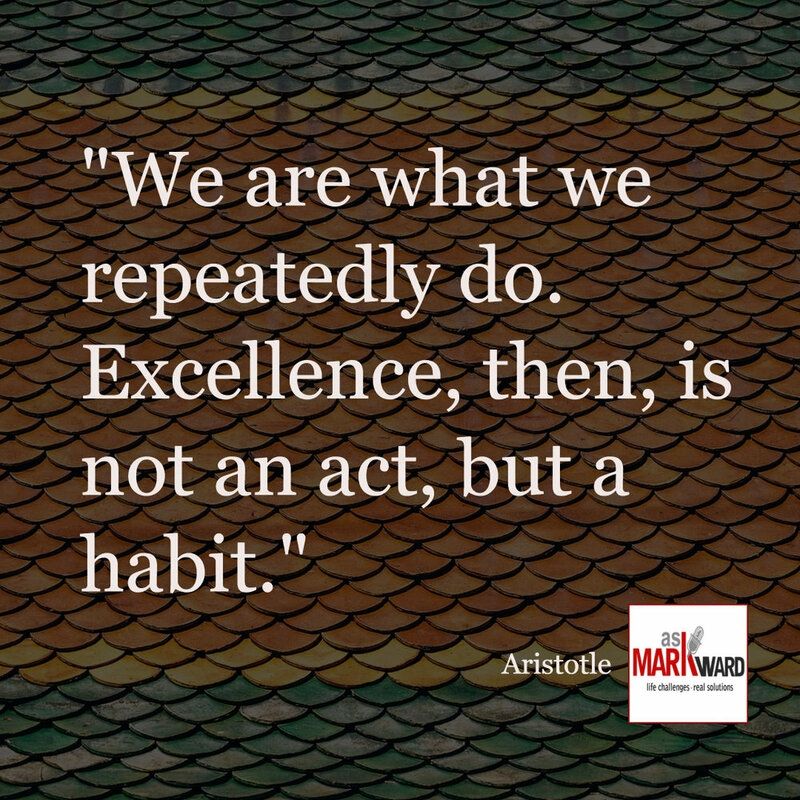 How will you create more effective habits? what are you willing to do today to invite more success into your life? Is this going to be an incredible day? How can you get in the habit of acknowledging the gift of every day?